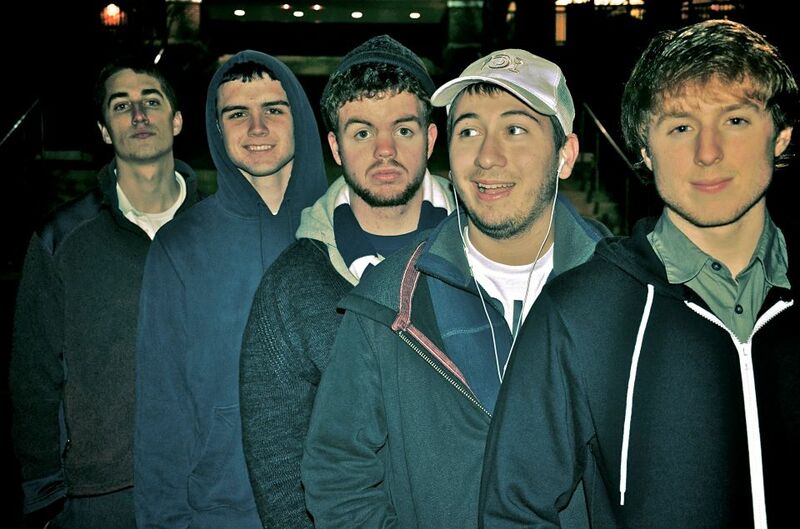 Runaway Heroes is one of the newest bands to break into the PSU music scene. Lead by vocalist/guitarist Ryan Fox, who has been performing around Penn State since 2010, the group has recently been seen playing their up-beat Stone Temple Pilots-esque rock music at the Songwriters Club THON benefit show, where they put on a fantastic show. We expect big things from these guys, and we strongly recommend checking out their new single “In Between” and our exclusive interview! SITR: When/why did you get this band together. How did you all meet? RH: The band started in late 2010 when all of us except Mike met one way or another through Songwriter’s Club after Collin pulled Zane into the group. We jammed and wrote some stuff in the basement of Atherton. Eventually we started playing open mics and a few gigs here and there. This year we were fortunate to find our awesome drummer Mike. That’s when everything came together. The reason our band is together is because of the fact that we love performing and writing music. It’s what keeps us sane. RH: Ryan and the Foxes was nice and all but half of the band wanted a different name. A runaway hero is a person who leaves his/her home and discovers themselves, and maybe rises above. I guess you could say that’s part of the college experience. We’re all runaway heroes one way or another. SITR: How did you decide what direction to take your music in? How would you describe your sound? RH:We all have diverse musical interests, whether it be from Kanye to Coldplay to Blink-182. I wouldn’t say that we have found which path to take our music in yet. Although it’s definitely some kind of alternative-rock hybrid. For the time being, our sound can best be described as choir of foxes in a bathroom (bathrooms always have the best acoustics). SITR: As a whole, who would you say are your bands biggest inspirations? RH: As we said, we all have different musical heroes. I think if our band had to decide on one artist that was our biggest inspiration we would probably break up as a band before we decided. However, we are truly inspired by other artists, whether it be local or mainstream bands, that are staying true to their music and loving what they do. It’s always important to hold on to that. SITR: Your first recorded track sounds great, will it be the first of many? RH: Thanks! That’s what we are going for. Recording is hard to do in an apartment because of the noise and complaining neighbors but chances are we’ll probably release a few more songs in the near future. SITR: What else do you have in store for 2012? RH: We have some gigs lined up and hopefully we’ll get a spot in the Movin’ On Battle of the Bands! SITR: What is it like being in a band made up of individual songwriters? Does it ever get creatively frustrating? RH: At times we’ve had our disagreements….but in the end they are worth it. It’s better to be challenged by bandmates than to go with an idea that could be improved. Having a bunch of songwriters in a band provides us with an endless arsenal of ideas and melodies that we can work with. We are thankful to have that. RH: The PSU music scene is tricky. Bars and clubs downtown definitely favor cover bands while house parties, open mics, and benefit concerts cater to original music. It’s our goal to try and break through the cover bands and get some gigs downtown so the people there can hear our music. SITR: What advice do you have for other students trying to pursue music?